You’ll find DynaForce® at hundreds of universities, schools, and recreational facilities nationwide. 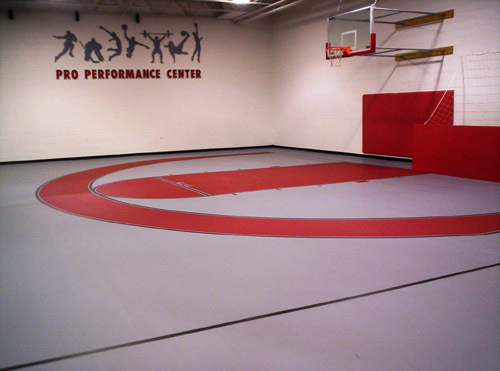 DynaForce® is a hybrid system of multipurpose athletic flooring that provides support and durability for all athletes. 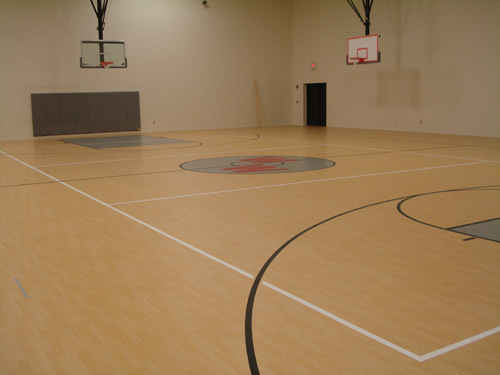 It merges the best attributes of sheet and poured systems to deliver truly amazing basketball court flooring. The beauty of this system isn’t just amazing looks. DynaForce® is about superior performance, safety and flexibility. Consider it for multiple sports including basketball, volleyball, PE, aerobics, soccer, football drills, and more. Durability ─ 15+ year life span! Ideal shock absorption for high performance and safety. Long-term aesthetic appeal ─ choose from our special finishes, colors (at least eight to choose from) and other customizations. 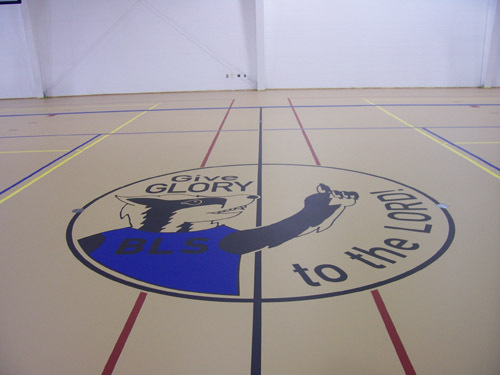 Flexibility ─ it works in conjunction with our indoor track flooring and other multi-purpose products. Environmental stewardship ─ DynaForce® is recyclable, eligible for more than six LEED points and installed with our Zero Mercury product formulations. All of this provides your athletes reduced joint stress and fatigue, fewer injuries, greater player confidence, better quality training, and greater overall playing comfort. DynaForce® delivers unmatched durability through its incredibly strong top layer that will not separate over time. And it can be refinished without costly removal or replacement. 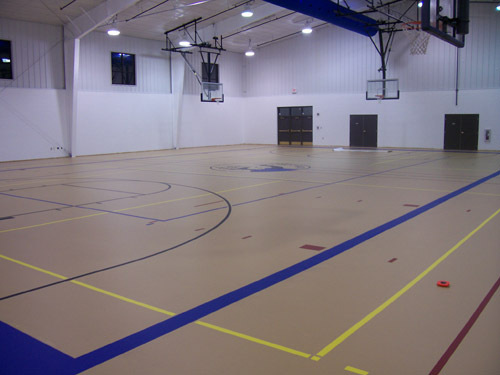 When you install any of our indoor basketball court floor systems at your school or fitness facility, you open up so many doors for multipurpose uses. It’s now ok to have multiple sports, athletic training, aerobics, fitness equipment and even street shoes on DynaForce® systems. Your facility needs an upgrade. 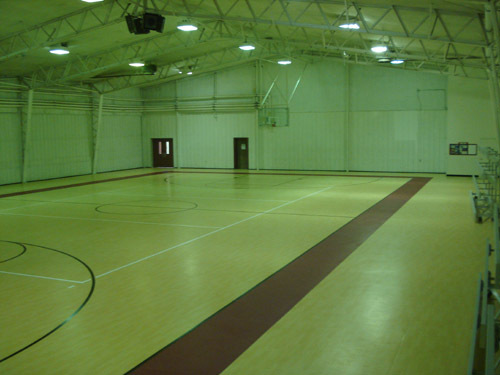 Contact Dynamic Sports Construction to handle your indoor court construction and resurfacing project. 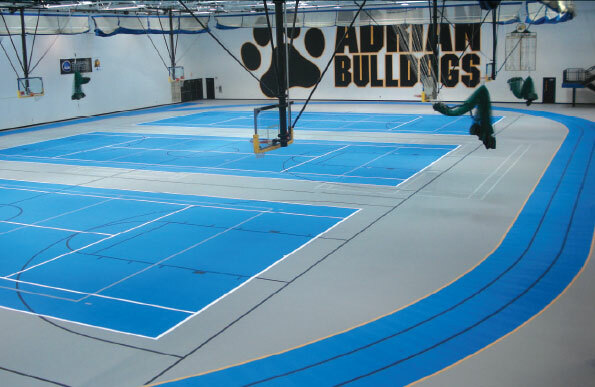 Our installers have more than three decades’ experience in the sports flooring industry, including 10 years with Dynamic Sports Construction. We are positive you will find incredible value from our products. Request your on-site consultation to see the difference for yourself!